(Download Version) Premium Church Templates for Newsletters, Postcards and Flyers (CD Version) Premium Church Templates for Newsletters, Postcards and Flyers - SALE! 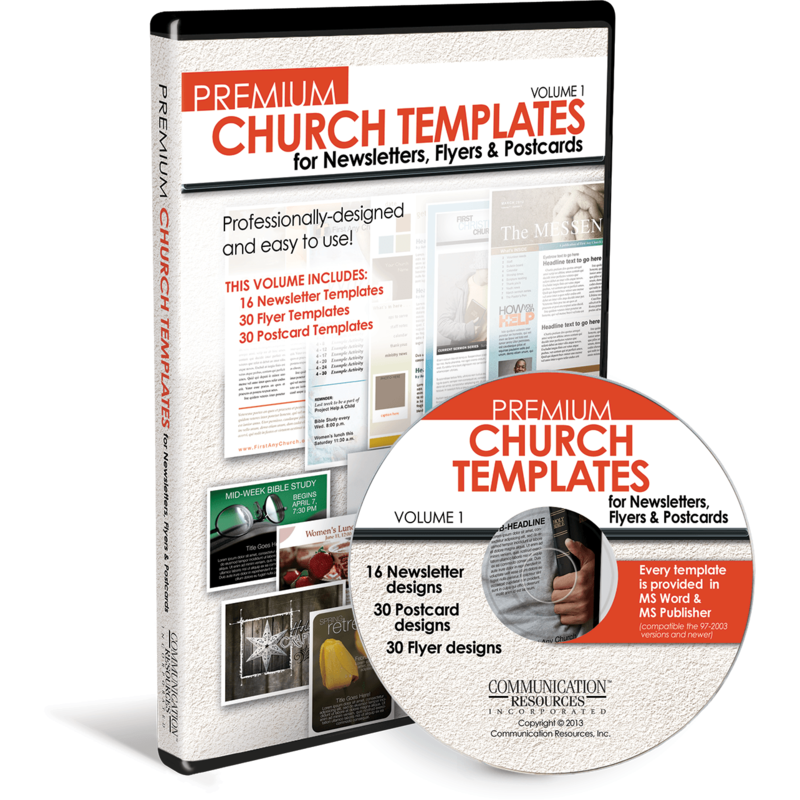 Church Premium Templates for Newsletters, Postcards and Flyers is a customer-tested collection that contains 16 professionally designed newsletter templates and 30 coordinating flyers and postcard templates. 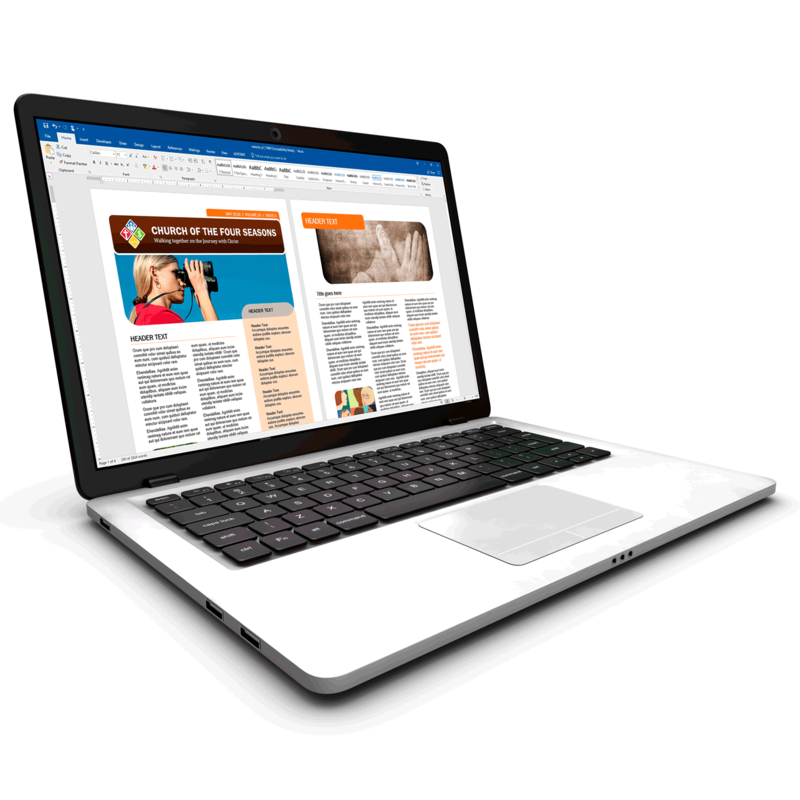 Derived from our premier membership, ChurchArt Pro, all templates are easy to edit and conveniently provided in both MS Word and MS Publisher (compatible with 97-2003 versions and newer). 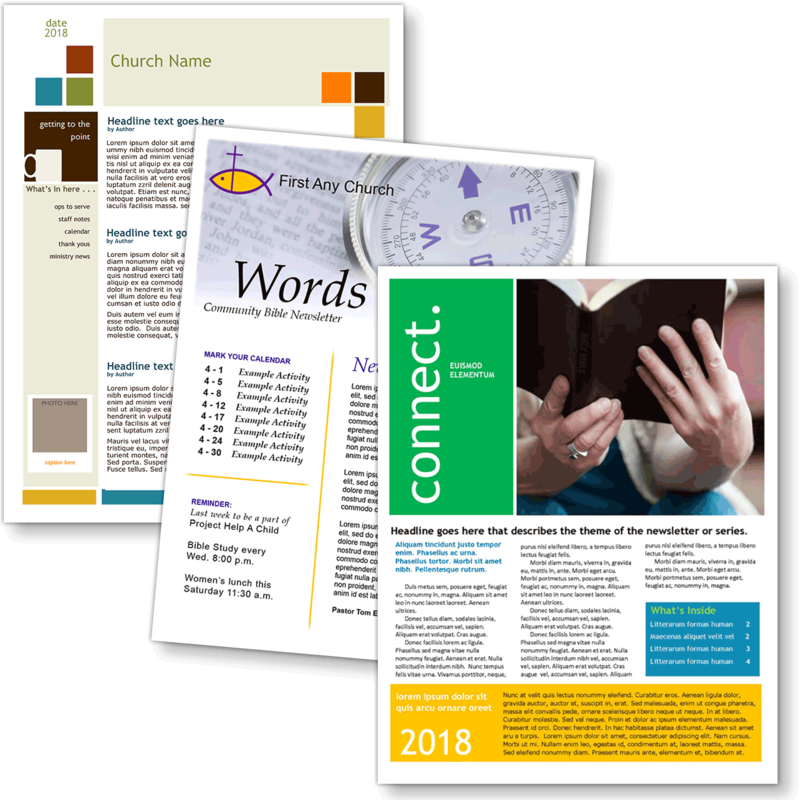 Why pay professional graphic designers hundreds of dollars to create and layout your church publications? 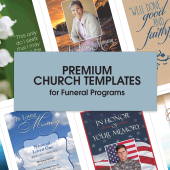 Our professional templates save you time and money. Our easy to use layouts allow you to add your own logo and update colors, fonts, artwork or photos to make each newsletter, flyer and postcard perfectly yours! 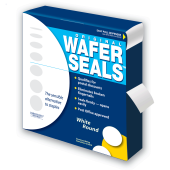 Each template also allows you to add as many pages as you need. 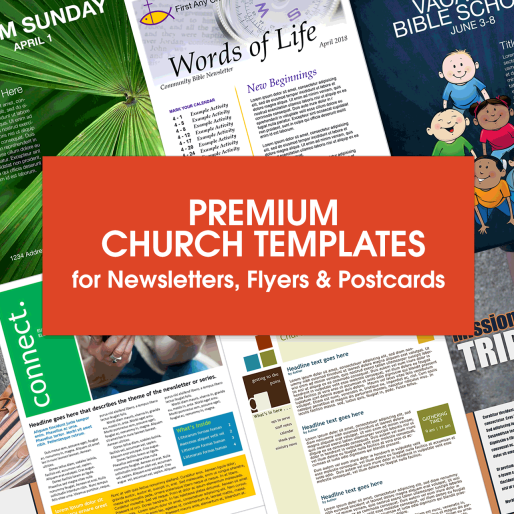 Premium Church Templates are created by professionals who know what works in design and layout, so you’re sure to have beautifully coordinated and attention-grabbing newsletters, postcards and flyers – every time! 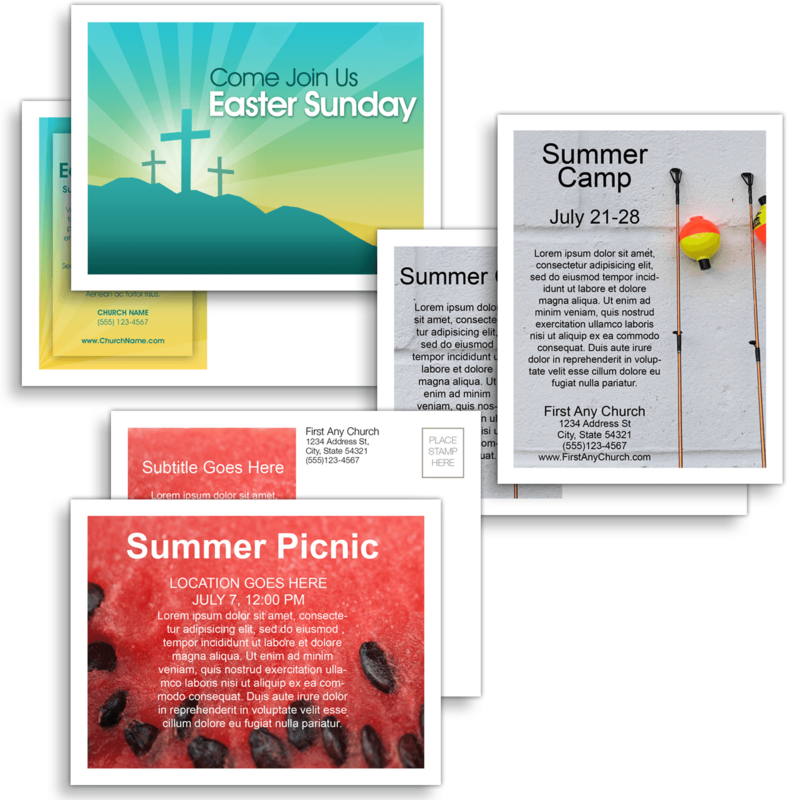 You’ll receive all 16 newsletter templates and 30 coordinating flyers and postcard templates. Sownload this set and start using today! Sixteen (16) unique 4-page Newsletter Templates – Designed for 8 ½” x 11” paper. Thirty (30) unique Full-page Flyer Templates – Designed for 8 ½” x 11” paper. Thirty (30) unique 2-sided Postcard Templates - Designed for 5 ½” x 4 ¼” in size and includes 4 per page. 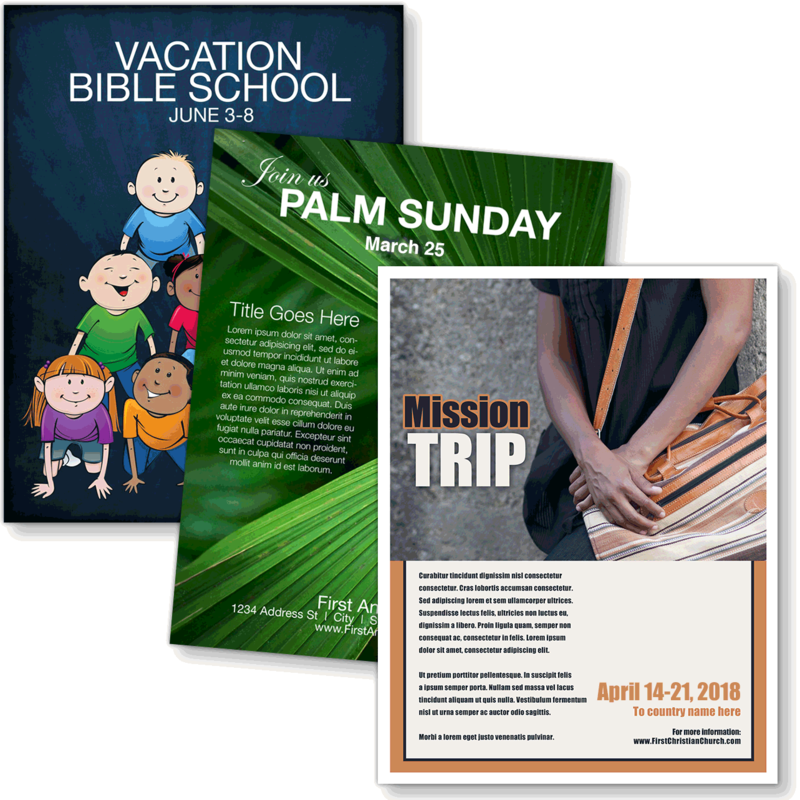 Each set also coordinates with a Flyer Template. 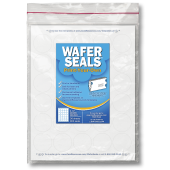 All flyers and newsletter templates are designed for 8 ½” x 11” paper; and all postcards are 5 ½” x 4 ¼” in size and includes 4 per page. Download version contains a zip file of .DOC and .PUB files that is 236 MB.